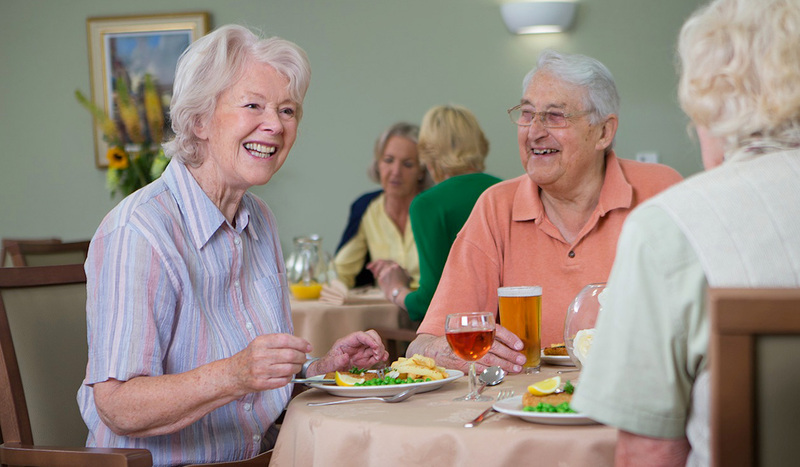 At Ashbrook Court Care Home we are committed to providing high quality care that is effective and responsive, delivered by an expert team that is well-led and supported in an environment that is safe and secure enabling residents to enjoy a better quality of life. People’s healthcare needs were supported and people had access to a range of healthcare services and professionals as required. The service worked with other organisations to ensure they delivered joined-up care. A record of compliments was maintained detailing the service’s achievements. Additionally, since our last inspection in August 2017, many reviews had been posted on a well-known external website about the quality of care and facilities at Ashbrook Court Care Home. These were positive and rated the care home highly. The service worked with other organisations to ensure they delivered joined-up care and support. This included the dementia support team, District Nurse services, local falls team, mental health teams for older people and the local NHS hospital ‘step-down’ team. Where people could engage their independence was promoted and encouraged according to their capabilities and abilities. People were supported to maintain relationships with others. People’s relatives and those acting on their behalf visited at any time. Relatives confirmed they were always made to feel welcome by staff.